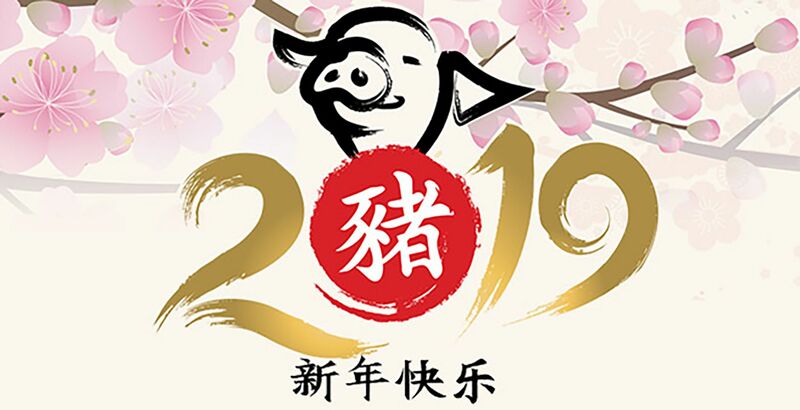 The Year of the Pig is one of the Chinese Zodiac's most auspicious signs and is believed to bring good fortune and luck. Airports, travel retailers, restaurateurs and brands are marking the New Year in style with spectacular celebrations, promotions and products. This special pictorial feature showcases some of the best examples. London Heathrow Airport is celebrating Lunar New Year with a programme of traditional entertainment in its departure lounges. Lion dancers, accompanied by the music of beating drums, are chasing away evil spirits while a dance trio are bringing the sights and sounds of traditional Chinese folk dance to the Year of the Pig. Cherry blossom-themed wishing trees are decorating the terminals while a roaming Caishen (money god) is handing out lucky red envelopes and sweet treats. Passengers can also pick up Chinese horoscope bookmarks or paper and instructions to make an origami pig, and have airport purchases gift-wrapped in exchange for a small donation to charity. Heathrow has also handily created a special list of gifts available in the terminals, which can be browsed or reserved on its Heathrow Boutique website. Many of the airport’s restaurants unveiled special dishes to mark the New Year. Action-packed: Heathrow's celebrations include traditional dancers, wishing trees and a money god. 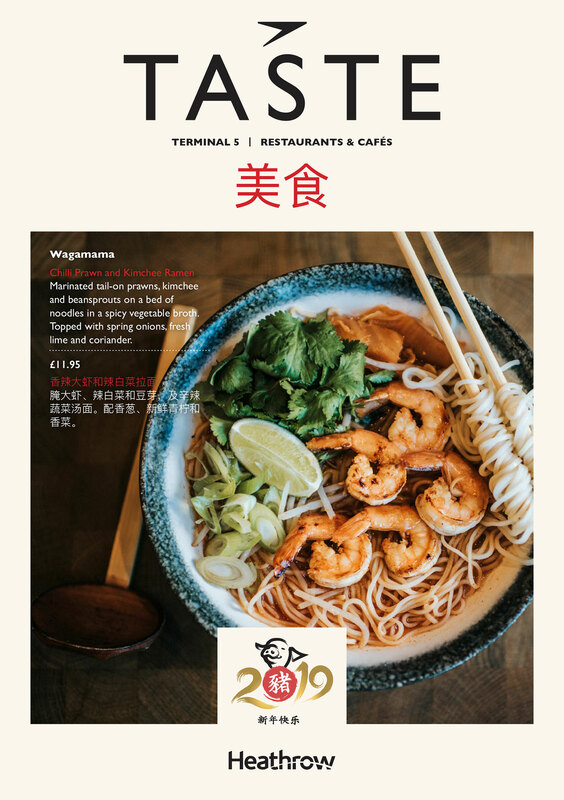 Flavours of Asia: Many of Heathrow’s restaurants, such as Wagamama (recently acquired by The Restaurant Group) unveiled special dishes for the Year of the Pig, as seen in the airport's Taste magazine. Hong Kong International Airport eleased this vibrant video showcasing Year of the Pig celebrations that feature its inimitable mascot in full Chinese New Year costume meeting and posing for pictures with travellers. The airport has also launched a series of shopping promotions in what is a key period for business, spreading its message on social media. Strong moves: Hong Kong International Airport released this video to wish travellers a Happy New Year. 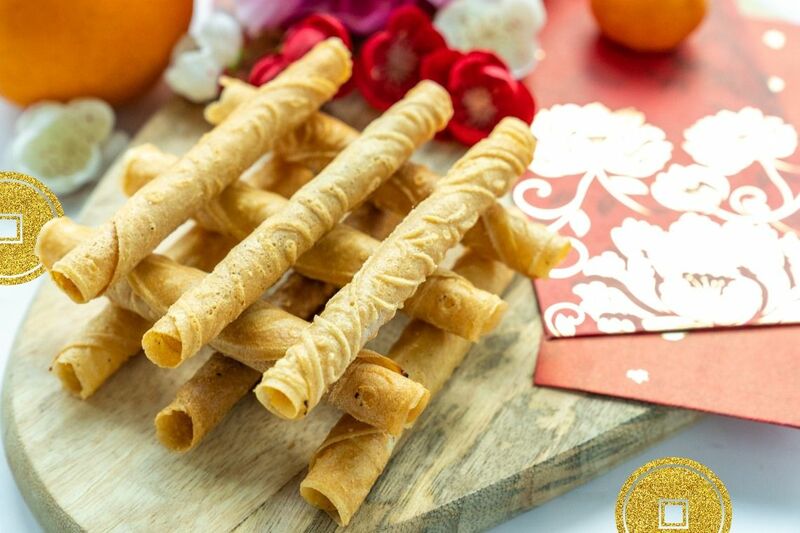 Holiday spirit: Products created for Lunar New Year feature in Hong Kong International's promotions. 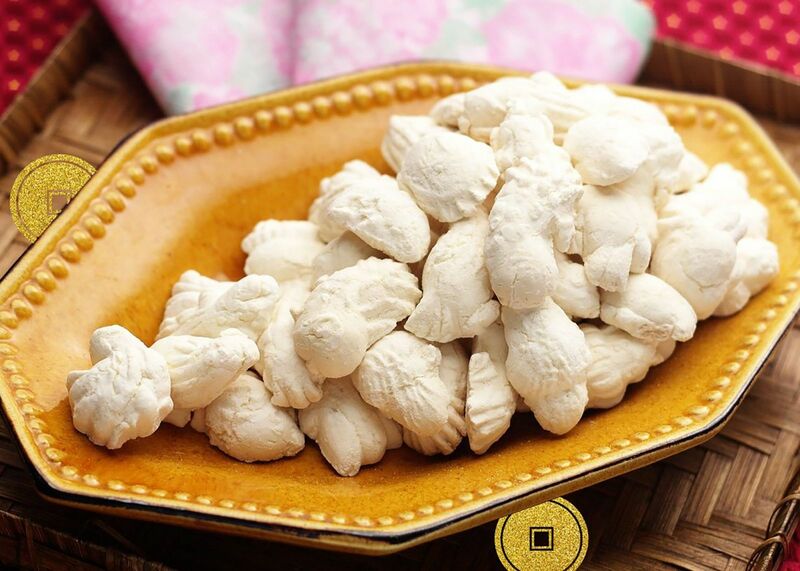 A range of delicious Chinese New Year goodies (pictured below) are available across Changi Airport. 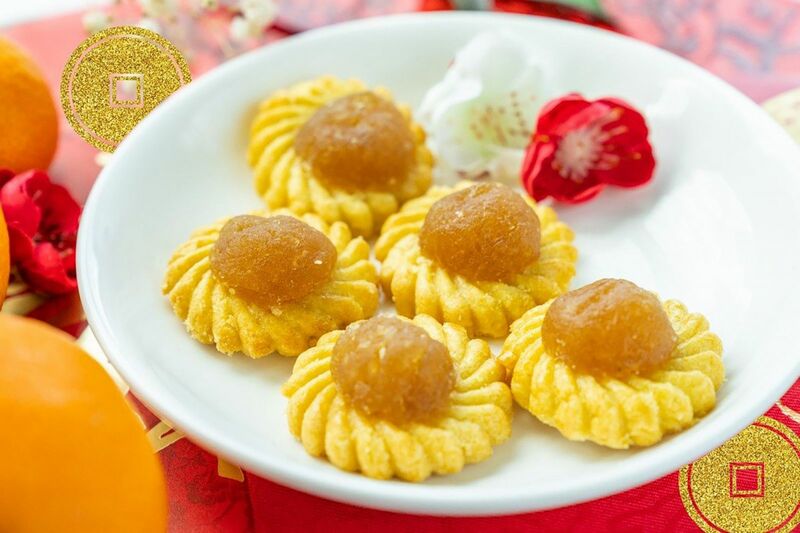 Pineapple tarts are thought to bring prosperity and luck, while kueh bangkit biscuits are said to help overcome any challenges in the New Year. 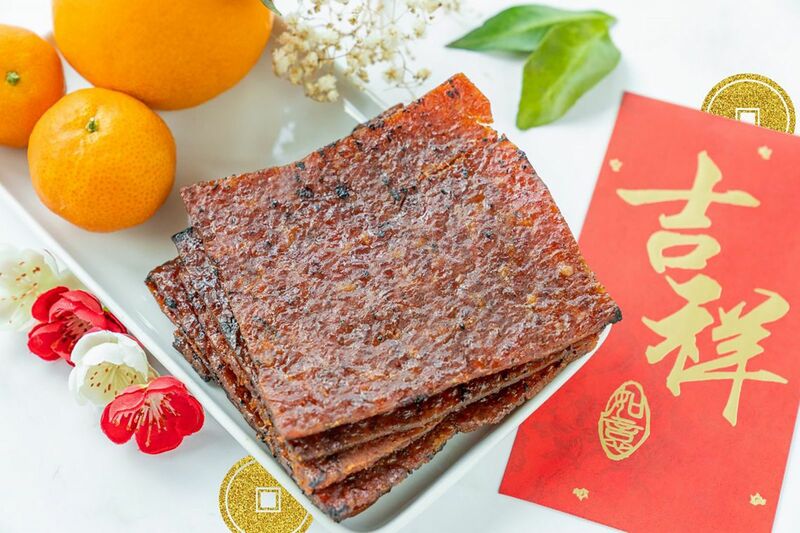 In Chinese culture, red signifies luck and fortune so the red-coloured Bak kwa (dried meat) is popular during the holiday season. Love letters are wafer biscuits that may contain hidden romantic messages. As usual, the airport has also added Chinese New Year decorations and launched retail promotions. Passengers spending a minimum of S$60 (US$44) in the public area of the airport can redeem an exclusive Chinese New Year red packet organiser for S$5 or S$8.